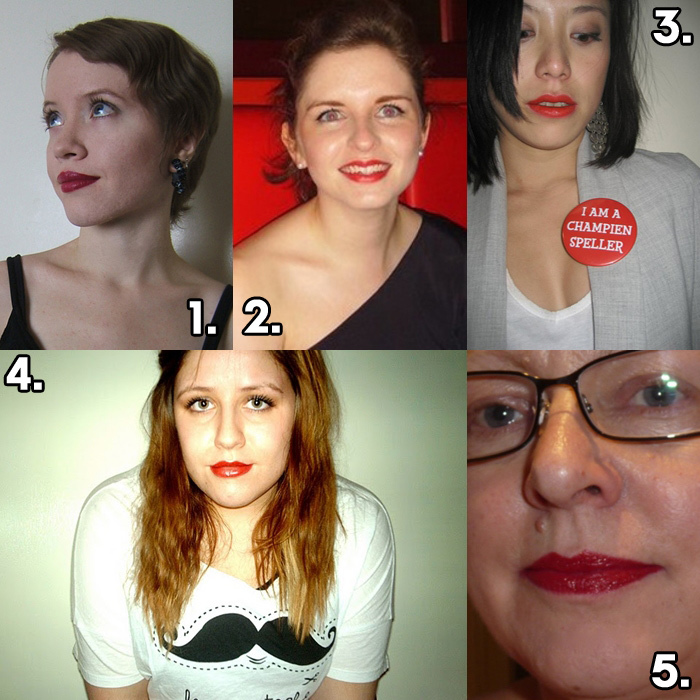 Red Lipped Readers – Part Six! 1. Mia Farrow eat your heart out, JMTolman looks positively perfect in MAC Rebel. 2. Fiona from AcousticDreamsHardcoreScreams should definitely wear brights more often! Check out the shade Heartless from MAC’s Venomous Villains Collection. 3. JennyW from MyFunnyValentine is rocking that red with some ‘tude! NARS Heat Wave with MAC Redd lip liner to be precise. 4. Fern from Fernlaura reminds us to remember the high street with Barry M’s Pillarbox Red! 5. 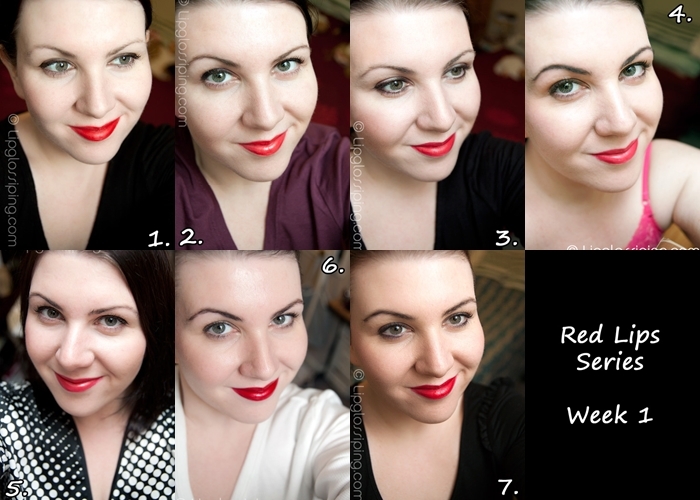 Jenni from NailPolishUK sets the scene with a powerful red lip in Rimmel’s Diva Red. My little sister has the same shirt as Fern! You all look lovely, ladies! I’m really enjoying this series, there are so many great reds out there! Rimmel’s Pillar Box red looks amazing. you get a few types of red. Blue, Orange, Neutral, Brown, Pink. This refers to the undertone beneath the red. Blue reds are probably the most common and tend to suit paler skin better than tan. #2 is an orange red. #6 is a blue red. Blue reds can sometimes look more ‘striking’ or formal whereas orange reds look a bit more casual.